Are your trading decisions influenced by intraday trade activity? Are you always checking which strike prices are getting the most action? If you answered “yes” to either question, you may want to create a Menu Shortcut in QuikStrike for the Strike Detail Chart page under the Market Data tab. You can start customizing your Strike Level Chart after selecting your desired product and expiration. 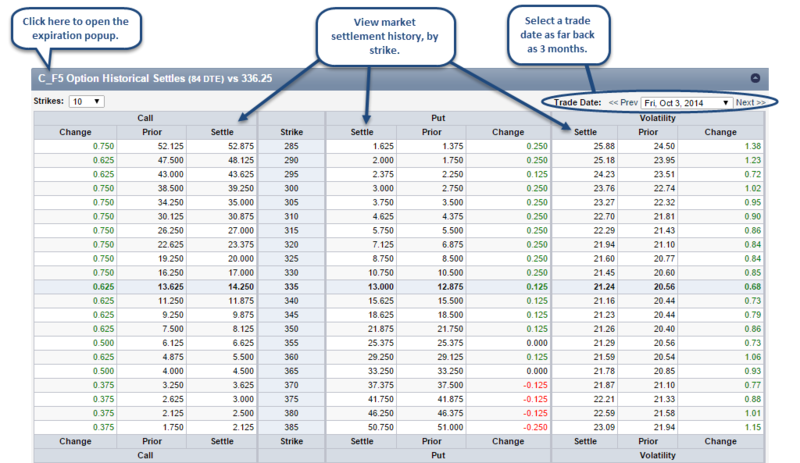 This chart displays trade volume and open interest for both calls and puts by strike updated throughout the day. Simply hover over the blue bars for Calls and orange bars for Puts to see their respective values. 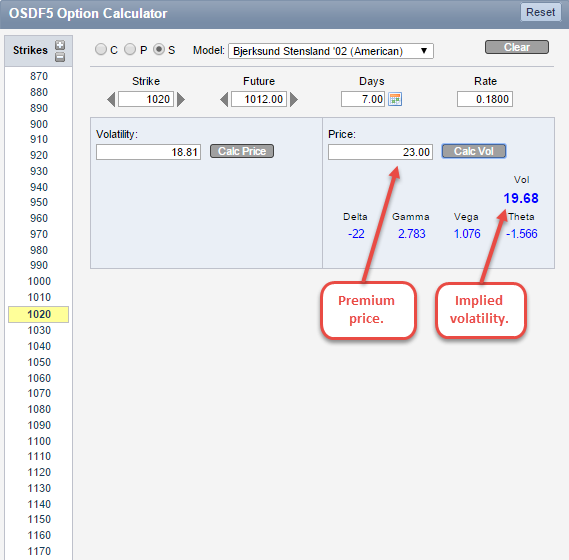 If you click the View Settings dropdown, you will be able to set the number of strikes and add filters to both the Volume and Open Interest chart. The image below displays the Has Open Interest Change filter which displays all strikes with intraday volume that have a change in open interest from the previous trading day. Another filter to note is the Chart Value. 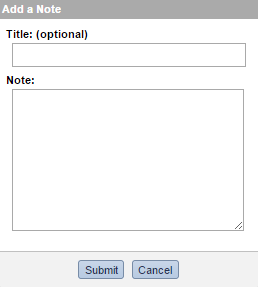 This dropdown applies to the Open Interest chart. Use this chart to get a better idea the strike prices with the most/least intraday activity or to generate new ideas for positions in the selected expiration. 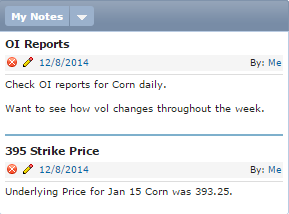 At the bottom of the page, you’ll find the Call and Put Summaries for intraday trading volume. The in-the-money (ITM) calls are intraday trades where the strike price was lower than the underlying price, while the ITM puts represent trades in the current session where the strike price was higher than the underlying price. Both out-of-the-money calls and puts had no intrinsic value at the time they were executed. 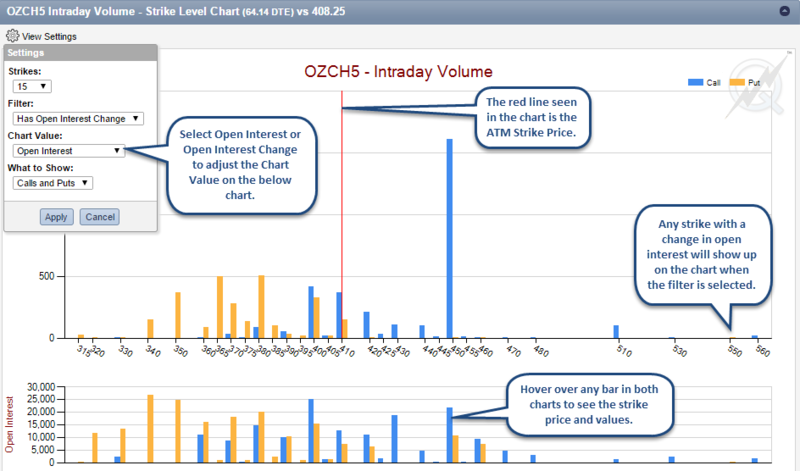 What do you think of our new intraday trade volume and open interest Strike Level Chart? Let us know your thoughts on this page, as well as all others in QuikStrike. Don’t hesitate to email us at info@quikstrike.net. We hope you have a great holiday season! “Does QuikStrike have historical data?” is one of the most frequently asked questions by our user base and prospective customers. “Yes” is the short answer. And reading further in this blog post will provide you with all the information you need to know about our History Tab. 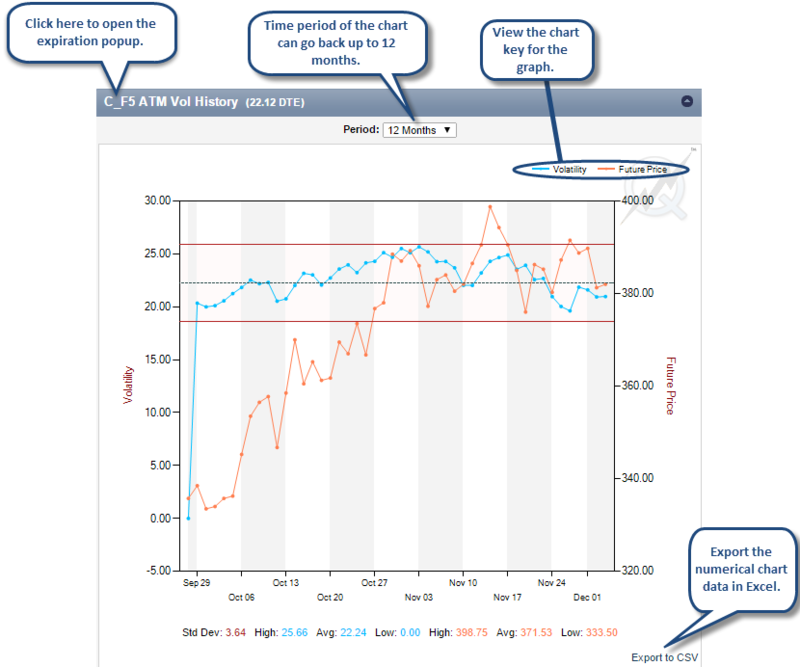 Many of our users make trading decisions based on historical ATM volatility. In the chart above, our users have the ability to go back as far as 12 months to see the ATM volatility history with the corresponding futures price. This is a great way to gain an understanding for how the ATM volatility has changed over the course of a year for a certain expiration. Seeing settlement prices for both calls and puts for a particular expiration is easy in our historicals sections. In the Option Settles page under Settlement Reports, our users have the ability to view market settlement history, by strike, for as far back as 3 months from the current date. The above images are two examples of how our users can take advantage of our history tab. If you aren’t a QuikStrike Professional Edition subscriber, shoot us an email at info@quikstrike.net, and we’ll set you up with a free trial so you can explore our history section. As always, please share your experience with us in the History Tab. We want to know about our strengths and how we can improve.